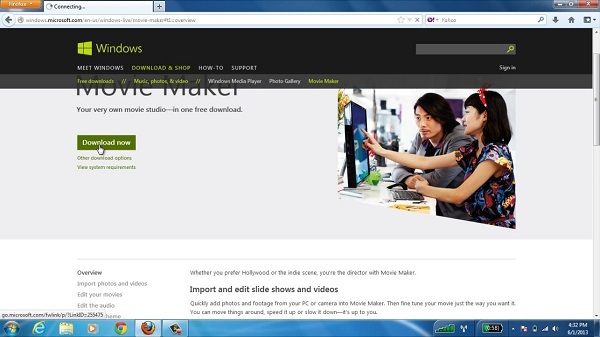 In this tutorial you will learn how to download and install Movie Maker. If you want to learn the basics of video editing and beyond that, using Movie Maker can be a good solution. Movie Maker is simple and easy to use editing software that runs on Windows. And yes, it’s free We’re going to demonstrate you how to download and install the software and a bit more than that. Step 1: To download the software package go to Windows Movie Maker page. Click “Download Now” button. Your Movie Maker package is downloading! This Movie Maker package comes with all other “Windows Essentials” like Photo Gallery, Mail and many other applications. Step 2: The downloaded file will be located in your “Downloads” folder. Double click the package icon to to run Movie Maker. 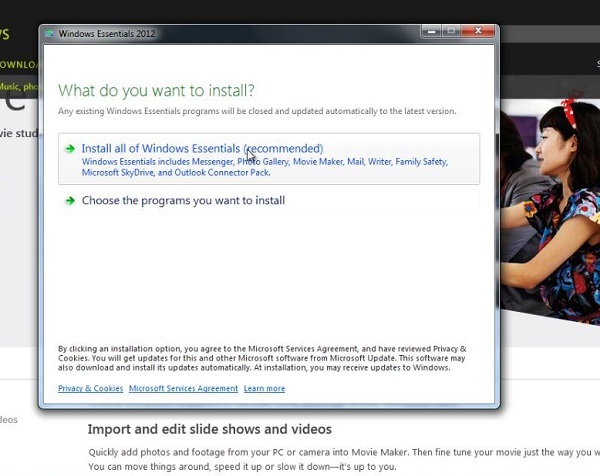 Step 3: The setup window will ask you whether you want to install only Movie Maker or the entire Windows Essentials suit. Pick the option that suits you better. 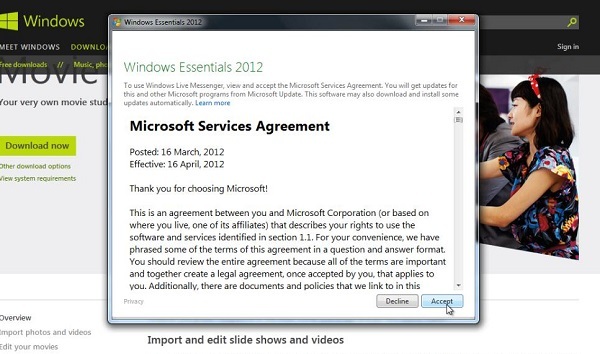 We will choose to install all Windows Essentials. Step 4: The Installation process is starting. Just wait until it finishes: it may take some time. Step 5: To finish the installation process, press Accept. All Windows Essentials including Movie Maker are now installed on your computer. You can start exploring the new applications! Result: Congratulations! You have just learned how to download and install Movie Maker and a bit beyond that.